Remove unwanted head and body hair quickly and conveniently with this compact male grooming appliance with its pivoting head. It's 100% waterproof, so it's simple to clean, and can be used in the shower, as well as for dry shaves. This hypo-allergenic body groomer also features pearl tips to minimise skin irritation. 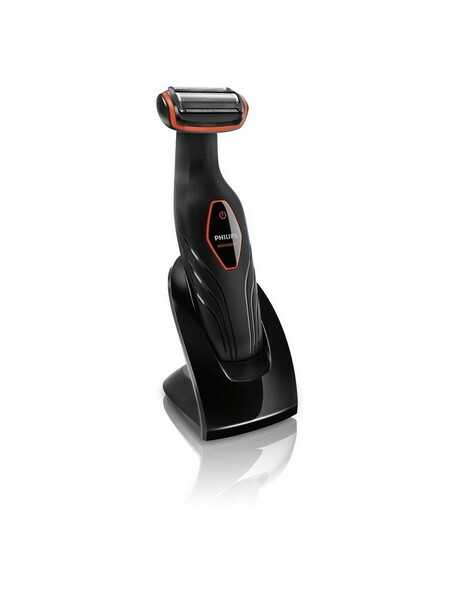 The Philips Body Groom Essentials BG2024 can be fully charged within eight hours and can be used cordless for up to 50 minutes. It comes with a charging stand, a comb for 5mm body hair length. Includes 2 year guarantee.